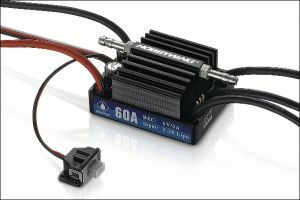 Hobby Wing "SeaKing" 60 v3 Amp ESC. 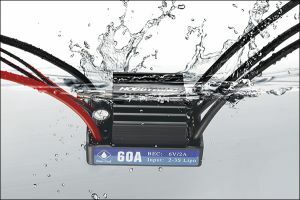 Excellent waterproof design (rates as IP 67) allows this ESC to get wet without any extra precautions. This esc is suggested for smaller boats upto the 22" (550mm) range. Because there are so many variables with each hull and installation its impossible to specify all the applications for this esc. If you have any questions on using this esc with your particular boat, please contact us before purchase.